All eyes may be on the bride and her wedding gown on the big day, but that doesn’t mean that the groom has to take a backseat on what is after all his wedding day too! One of the most important things that the groom will get during his wedding day is, of course, his ring. Not all guys like shopping. More often than not, men spend as little time as possible shopping. If your man is one of those, then it’s better that you be the one to choose what kind of ring he will be wearing for the rest of his life. 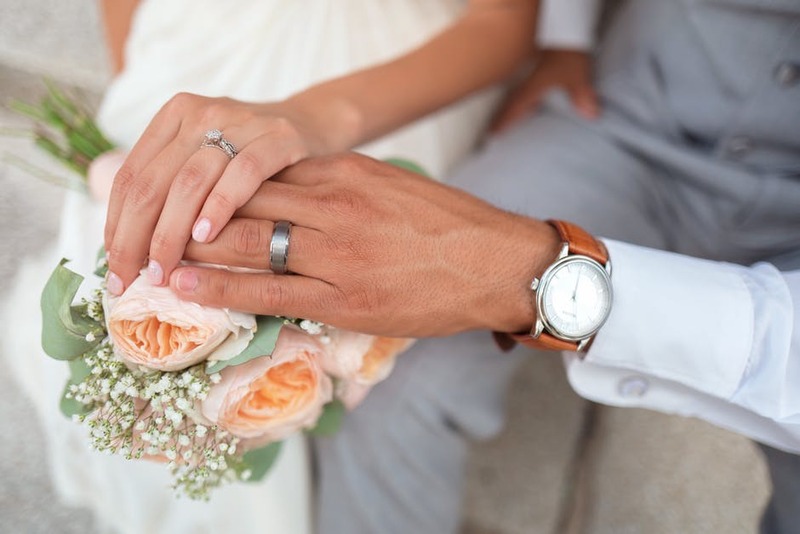 If you are unsure about what to do, consider the following tips to help you decide which wedding ring to buy for your future husband. Before you scout for rings, make sure that you have set a budget and you will not stray from it. Remember that weddings are not just about the rings, there is still a lot that you need to set a budget for. When you go to the jeweler, it would be advisable that you give your budget right away and ask for rings within that range, that way you will not be tempted by rings that may be beyond your budget. This is where how well you know your husband-to-be comes in. Is he into fancy jewelry? Maybe he has a quirky personality and looking for something different from the traditional design. Check out his present jewelry and see if you can translate that into his own wedding ring. If he has a bold personality, you can choose a ring that could have an unusual pattern or shape. This is important especially if he is not used to wearing jewelry. Designers can help you come up with something comfortable for your husband to be. You can ask about the possible width and other features so that it will not feel clunky. Some even suggest getting a ring one size bigger so that it would be more comfortable. While it is true that you need to consider your husband’s personality when choosing a ring, never forget that this is a couple ring, and while it does not have to match yours, it should still complement your own wedding ring. Whether it is the style, metal, or stones used, there are many ways to make the rings match and show perfect harmony. One of the important things to consider is your husband’s work. If his work requires hard labor, you need to choose a metal that can withstand it and will not be easily damaged. Tungsten rings are becoming more popular nowadays for grooms. It may be a new metal used for wedding rings, but they are not only durable and scratch resistant, they may be cheaper than platinum and even gold. If you are looking for a jeweler that can provide tungsten rings, check out Men’s Rings Outlet. They offer the best contemporary designs for affordable prices.